This Slow Cooker Pumpkin Spice Granola Recipe is an easy make-ahead breakfast or snack to pair with a cozy mug of coffee this season! As soon as the weather cools off and we see crisp, beautiful fall mornings here in Virginia, I instantly crave the comfort of warm spices, hot coffee, and pumpkin-flavored EVERYTHING! 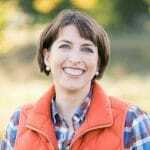 But since my mornings with three little boys are always a hectic race to get everyone out the door on time, my routine needs to be efficient and FAST! Fortunately, I can grab everything that I need for a wholesome breakfast at Target — gotta love one-stop shopping! Hey, look! 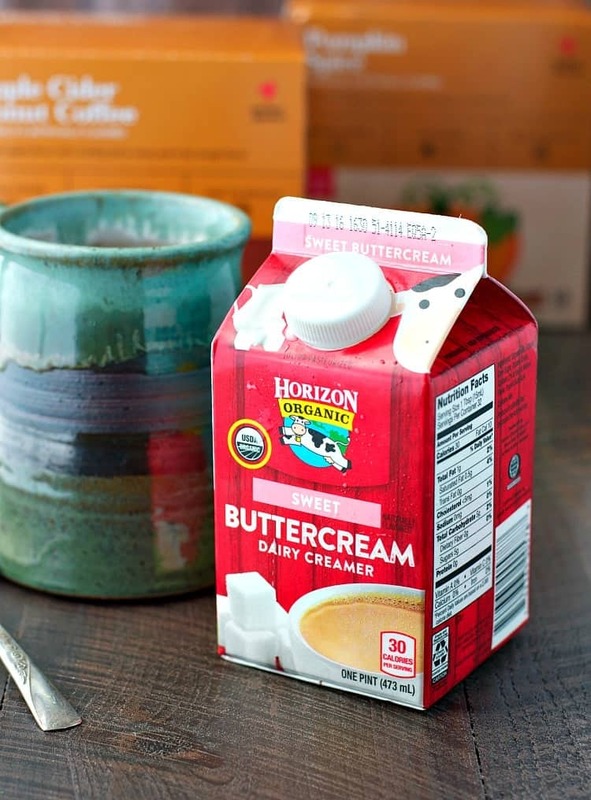 I grabbed my Horizon Organic Sweet Buttercream Dairy Creamer on sale! 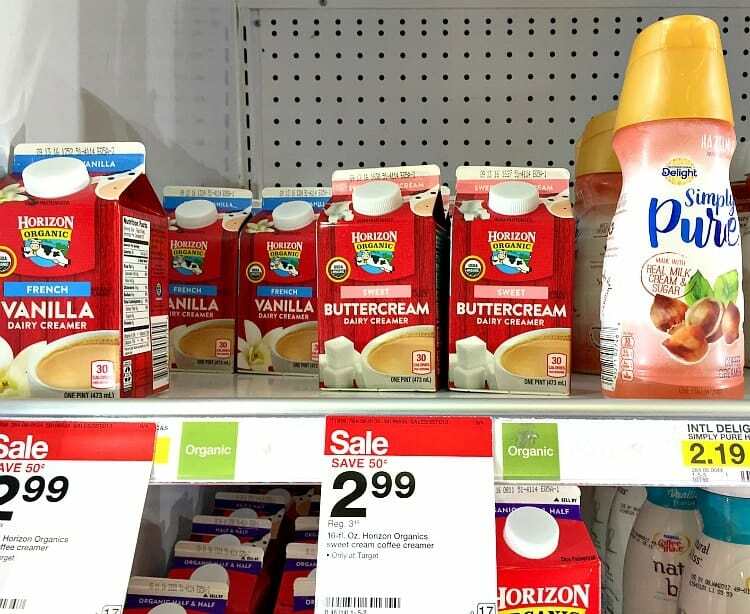 I love adding a splash of Horizon’s sweet creamer to my coffee for a touch of indulgence, but Target’s creamer case is full of plenty of other better-for-you and dairy-free options as well. There’s a creamer to support your goals and preferences — no matter your lifestyle. And don’t forget about the Cartwheel app, which can help you save money on your purchase! These creamers are the perfect companion for a mug of fall-inspired coffee. 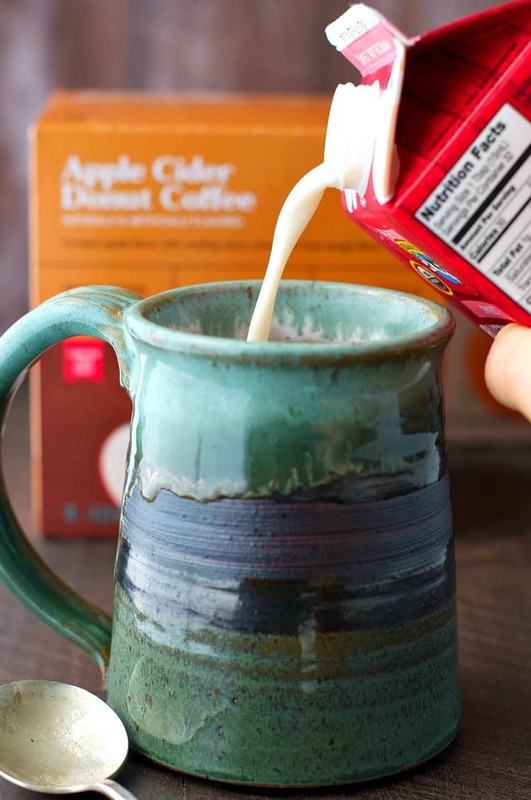 Target’s Archer Farms brand makes two of my favorites: Apple Cider Donut Coffee and Pumpkin Spice Coffee — both of which come in K-Cup Pods for a quick mug on even your craziest mornings! 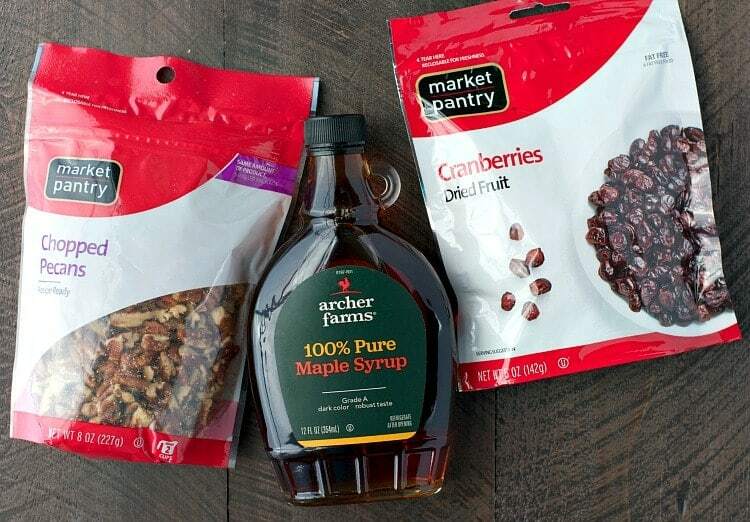 Target also sells all of the ingredients necessary for the rest of this delicious breakfast — including the oats, pecans, cranberries, spices, and maple syrup that I use in the granola recipe. 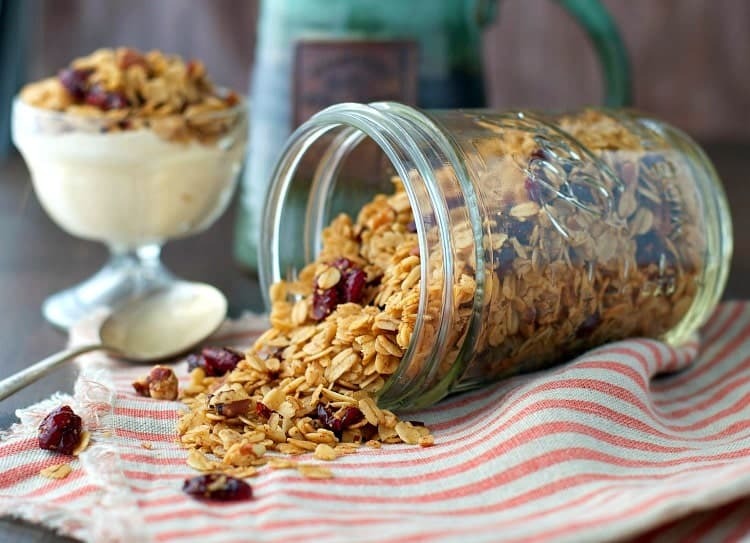 If you’ve never tried making granola in your slow cooker, then you’re seriously missing out! 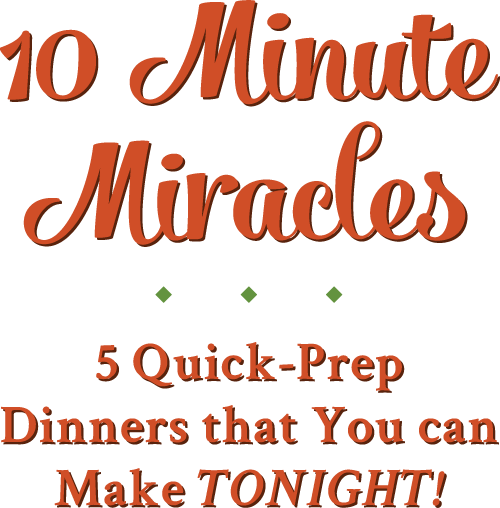 It’s the perfect way to prepare a giant batch at one time — without the fear of burning it in the oven. Tell me that I’m not the only one who burns granola in the oven EVERY.SINGLE.TIME!?! If you’re home on a Saturday or Sunday afternoon and you have a few minutes to dump these ingredients into your Crock Pot, you can enjoy golden, toasted Pumpkin Spice Granola for breakfasts and snacks all week long. 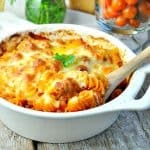 It’s a great lunchbox option for kids (my boys can’t resist the amazing aroma! 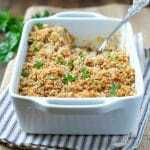 ), it makes a nice gift for teachers or friends, and when paired with some protein-packed Greek yogurt, it’s a filling breakfast for busy mornings. This is fast food made with better-for-you ingredients to support a healthy lifestyle and fuel you through your day. I love to add this granola recipe to a cup of Pumpkin Pie flavored yogurt, and I don’t even have to dirty a dish! 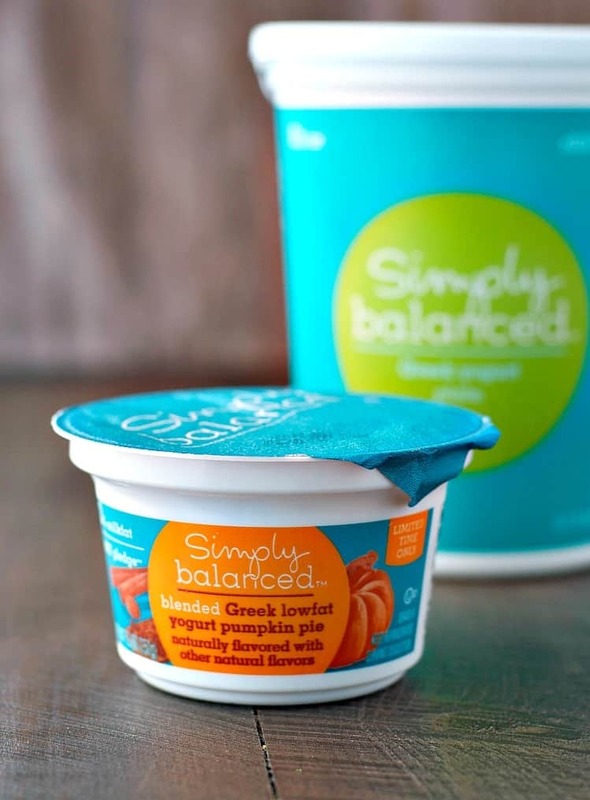 These little cups have plenty of extra room at the top for a serving of granola — no bowl necessary. If you’re feeling fancy, or if you’re serving the granola to guests (maybe Thanksgiving morning? 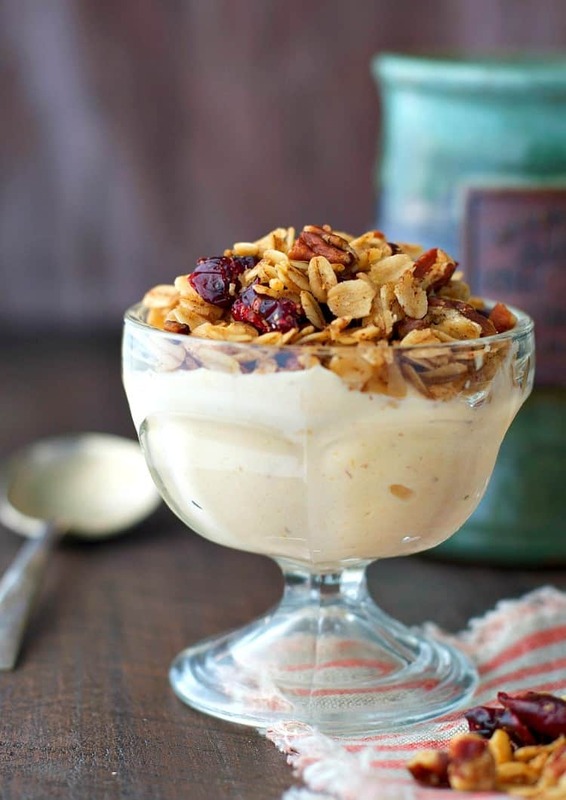 ), just layer the granola and the yogurt in a bowl for an upscale offering. Nobody needs to know how easy it was! And remember — whether you take your breakfast on-the-go or linger over a cozy fall brunch — a mug of Pumpkin Spice coffee with a splash of Sweet Buttercream is always a necessary companion! Don’t forget to download Target’s Cartwheel app so that you can take advantage of the 20% off Cartwheel offer on International Delight Simply Pure, Horizon, Silk and So Delicious creamers from 9/25/2016 – 10/22/2016. 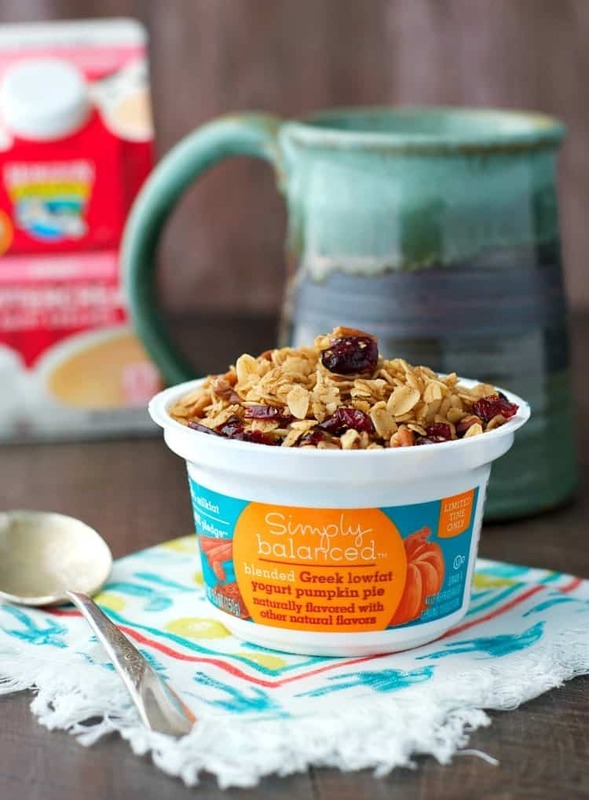 And while you’re there, be sure to grab the rest of the ingredients for this delicious granola recipe and the perfect fall breakfast! 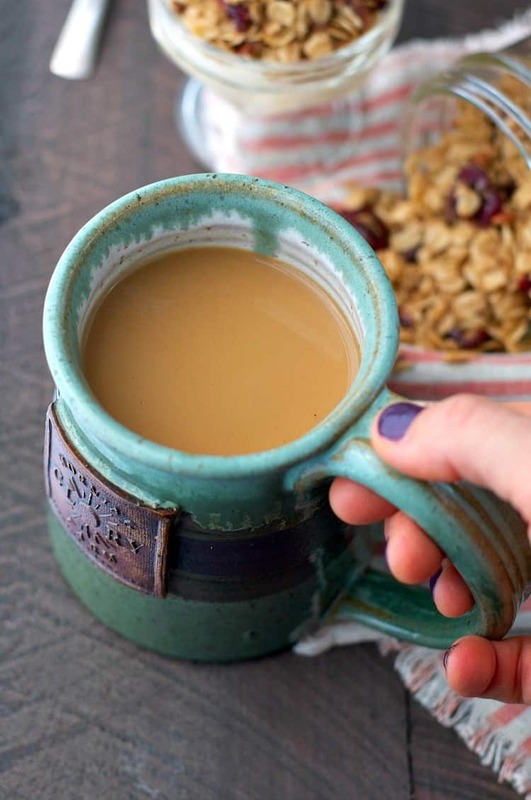 If you’ve tried this Slow Cooker Pumpkin Spice Granola Recipe or any other recipe on The Seasoned Mom then don’t forget to rate the recipe and leave me a comment below! You can also follow me on Facebook, Twitter, Instagram and Pinterest to see what I’m getting up to. Spray inside of a large (6-quart) slow cooker with cooking spray. Add oats and pecans to the slow cooker; toss to combine. 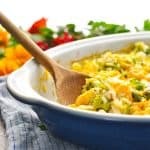 In a small bowl, whisk together the remaining ingredients until smooth. Pour over the oats and toss until the oats and nuts are completely coated. Cover, and cook in a vented slow cooker (I just left my lid about halfway off to let the steam escape) on high for 2-4 hours, stirring every 30 minutes. 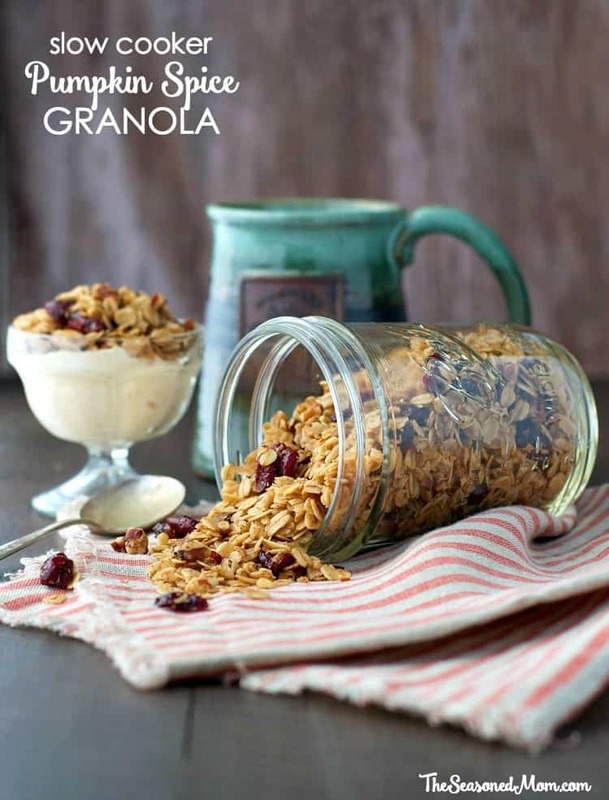 Slow cookers run at different temperatures, so keep an eye on the granola as you stir. 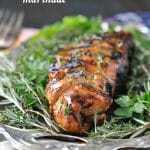 When it looks golden brown and toasted (but not burned), you know it’s done. Stir in the cranberries and spread the granola onto waxed paper. Cool completely before storing in airtight containers. I definitely crave all of the pumpkin flavored foods and drinks, too! I’ve made pumpkin granola before, but never in the slow cooker. Such a great idea, Blair! I bet your house smelled amazing when this was cooking! Thanks, Gayle. The smell is ah-mazing! How good does this look Blair! I could use a bowl of this right now with my coffee. This looks INCREDIBLE! I need to make a jar of this just for me as I always make granola for Jesse but rarely make it for myself! I’ve used my slow cooker for many things, but never granola – so this is GOING to happen in my kitchen. My granola-loving Southenr husband will be so happy! 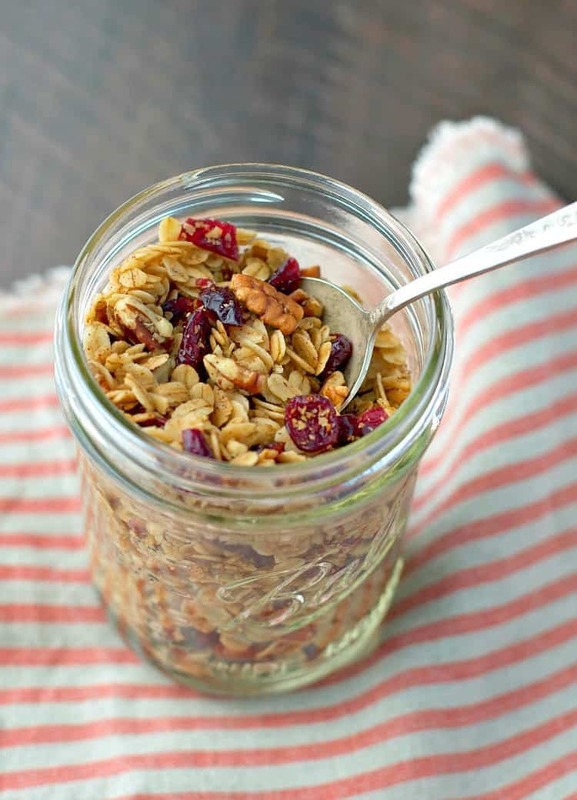 This is a great way to make granola, It’s much better than store bought. It makes for a great start with coffee.